Ring Road was built in 1974 and it connects the major towns across the country, the length of the road is 1,332 km. If you get a rental car in Reykjavík, you will start your journey from South Iceland, visiting such sights as ancient National park Þingvellir, stunning waterfall Gullfoss and infamous Eyjafjallajokull Glacier. Heading to the East, you will discover the largest forest in Iceland Hallormsstaður, unique green island Skrudur Island and spectacular mountain Dyrfjöll. Going further to the North, you will have a chance to see Myvatn lake, Askja and Northern capital Akureyri. On the way back to Reykjavík, you will enjoy stunning landscapes of West Iceland, such as Hraunfossar and Barnafoss waterfalls and beautiful Hvalfjordur fjord. In case you decided to have a rental car in Iceland for the first time, don’t worry, there won’t be any obstacles if you follow rules and instructions. So here are some advice. First of all, when you are planning to hire a car in Iceland, you need to take into consideration two factors: season and routes. The best and easiest months to travel across Iceland would be from Mid-June to August, as during this time daylights are the longest, so regular car would be sufficient for your trip. However, no matter which season you are planning to travel, you would need to hire 4x4 car in Iceland, if you want to go off the main roads. If you want to learn more about driving in winter, you can read our post How to drive in winter in Iceland. It is better to plan at least one week for your journey, of course, you can do it faster, but in this case you aren’t able to enjoy the views and walk around most famous Icelandic sights, as you will spend most of your time driving in the car. 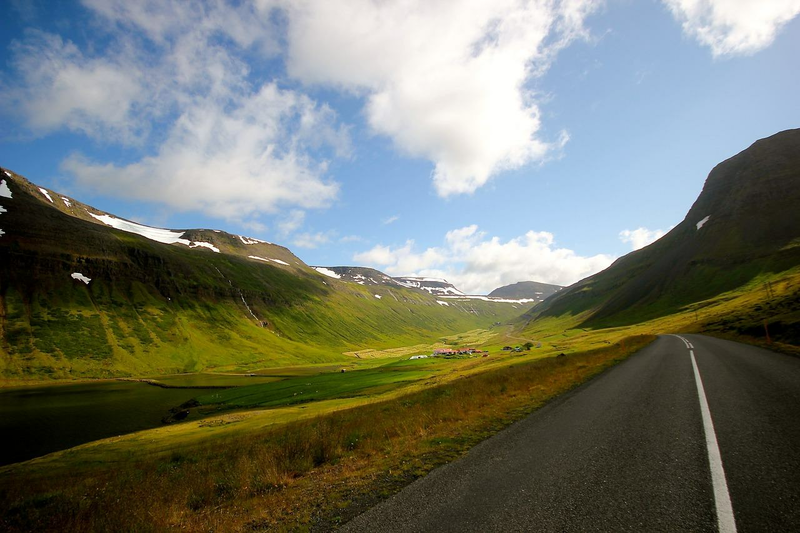 Also if you have more time, you will have a chance to get off the road and discover more remote areas of Iceland. Also be prepared that even if Ring Road is popular among tourists you will still sometimes be totally alone on the road, so try not worry that the closest human beings are probably far away from you. On a bright side, where else you will be able to get such a surreal experience! Due to the stunning views it is really tempting to stop on the road, especially because there is rarely any cars on the road, to take photos, but please don’t do this. It is dangerous! There would be many opportunities that will give you a chance to stop on the side of the road, so no matter how beautiful are landscapes, please don’t stop the car in the middle of the road. It is important to remember that there can be animals on the roads, especially sheep, so be prepared for such sort of situation. And another important advice: when there is a petrol station, you should pull off and get petrol, as you never know when you will be able to get a fuel next time. Overall, we are absolutely sure, that travelling with a rental car in Iceland will give you unforgettable memories and you would want to come back for another trip again!